Please expect orders to ship after the start of the new year. HoliCash Gift Cards are available in amounts starting at $25. They may be used for tickets, food, and souvenirs at Holiday World & Splashin’ Safari. In a hurry? Call 1-800-467-2682 to order over the phone; otherwise, please allow up to two weeks for delivery. 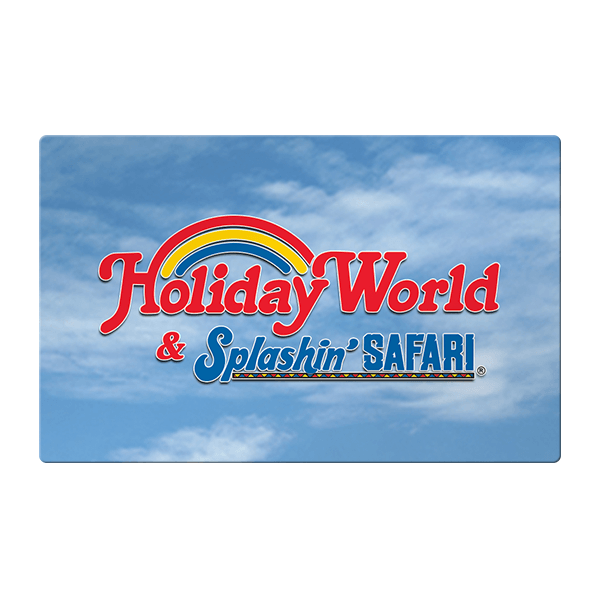 HoliCash Gift Cards may be used throughout Holiday World & Splashin’ Safari for admission tickets, food, and merchandise purchases. Available in amounts starting at $25. For more information and the complete set of terms and conditions, subject to change, visit holidayworld.com/holicash.